Africa University was proud to host Dr. Charles Richardson, the Dean of the School of Business at Claflin University, South Carolina, USA. Dr. Richardson met with Deans from AU’s 3 colleges as well as administrative staff so as to gain insight into the inner workings of the university, explore possible areas of cooperation and partnership, as well as to experience the spirit of Ubuntu and to learn from each other. Claflin, which is 150 years old, has a student population of just over 2000 drawing comparisons to Africa University that has a yearly enrollment of over 3000 students. Claflin forms one of the USA’s Historically Black Universities or HBU’s that were established to enable African Americans the opportunity to acquire higher education at a time that they were barred from attending other universities where segregation was a mainstay. Claflin University has made many notable achievements and currently boasts the highest returns on alumni giving amongst HBU’s. 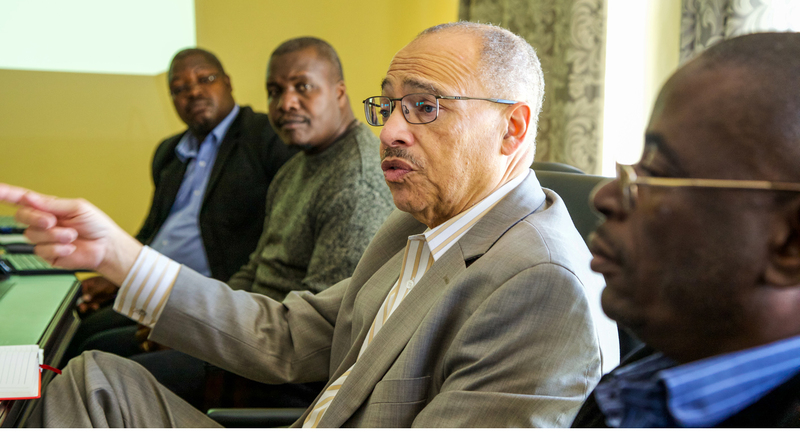 The partnership between AU and Claflin University adds to the growing list of valued partners and stakeholders who are actively engaged in investing in “The Dream” and Africa’s future.